NFPT CPT Review (2019) - Who is this Certification Meant For? NFPT CPT Review 2019 – Who is this Certification Meant For? In my NFPT review, you will find out who this certification is meant for and if it is the correct certification for you and your training style. Make sure to leave me a comment at the end! Before the central part of the review, let’s view quick pros and con list of the NFPT. After this article, I highly suggest taking a look at my article on the best 5 certified personal trainer certifications as well as how to become a trainer! Is also highly recommended that you Take the quiz to help you figure out which PT certification is right for you. The NFPT agency was started in 1988. Based on other reviews, and talking with people that are certified with them, I would say it is a middle-of-the-road certification. They are accredited by the NCCA. As expected, specific prerequisites one needs to be met to get certified. You must be 18 years old and have a high school diploma. 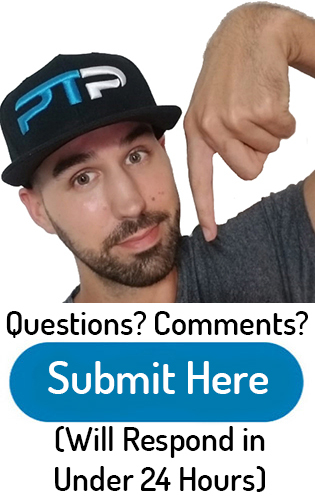 If you are not yet certified as a personal trainer, check out some helpful articles for beginners including my article on the salary you can make as a trainer or my post on how long it takes to become a trainer. Let’s jump right into the NFPT review so that you can learn all about this certification. To get certified, you need to choose between one of two standard enrollment programs. There is the Standard Package, the Premier Package, and the Exam-Only option. The standard package includes the “bare bones” essentials for test prep (i.e., the personal trainer manual and study guide). 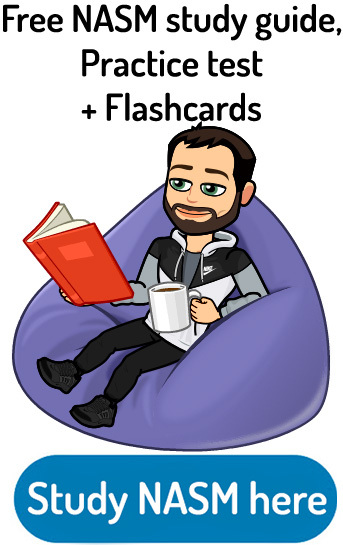 It also includes the exam sitting and exam content outline, all delivered online through your customer account from their website. This package also includes a study guide for the textbook as well as online learning quizzes. This package will cost you $249. If you are currently working at a health club facility or gymnasium, you can often get this same package at a discounted rate. The Premier Certification package is $349. It comes with all of the standard package items, plus additional resources including practice tests, online study tools, and client assessment videos. With both the standard and premier certification, you can choose to make a down payment and then pay the remainder within one year of the first payment . Depending on if you want the standard or premier package, you will pay either $99 or $129 to get started, and then you have to pay the balance any time before you take your certification test. The last/third option for getting certified is the Exam-Only option. You pay for sitting the exam and the exam content outline. This is for people who want to ‘test-out.’ I do not recommend this option unless you already have the textbook from an old friend or have completed a four-year degree in kinesiology or exercise science. If you happen to be military personnel or civil servant you can gain 15% off of the premier or standard personal training options from NFPT by showing your badge number. Overall the textbook is fairly thin for the NFPT certification. Most other personal training organization such as NASM or ISSA have much more in-depth textbooks that are more than twice as long. The study guide was very helpful and went along nicely with the textbook. 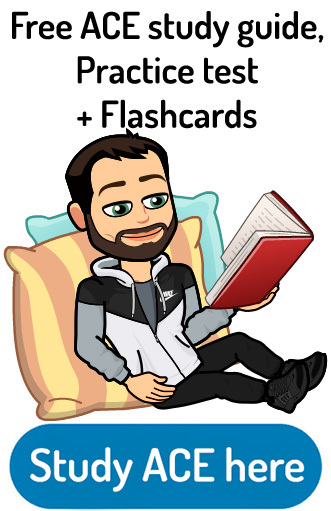 Overall for me, the online learning section was the most helpful as it provides quizzes for each individual chapter of the textbook. We These quizzes will be extremely helpful when taking the final exam. With the premier version, you will get to sample practice tests that each have 45 multiple-choice questions from the five exam sections. The exercise animations are 80+ dynamic exercises that show form and the involved muscle groups for each exercise. The client assessment videos include 45 step-by-step assessments that will help you assess your client’s fitness. The Premier version also lets you gain access to experts so that you can ask them questions as you are studying the material. One additional study material that I found helpful is their free personal training career guide that they offer on the home page of their website. This helps you learn a little bit about marketing, sales and how to make more money as a personal trainer. The exam contains 120 questions. You will be given two hours to finish it. The minimum passing grade is 750 points out of 1000 (or 75%). There are five exam categories in total that make up the test. I have heard from friends that the test is relatively easy to pass. Most of them merely went through the textbook reasonably quickly and did a quick overview of the reference manual. All of the educational material, the study guide, online chapter reviews, and the added resources (if you get the premier package) are available in your online NFPT account. The textbook is 340 pages long. It goes over the basics of exercise science and training. It is ‘user-friendly’ in that it takes hard concepts and explains them in ways that are easier to understand. The primary focus of the text is exercise programming and client assessment. 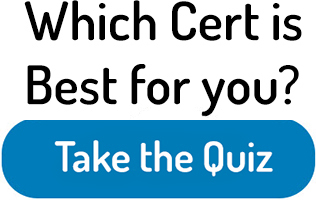 If you’re still having trouble picking the right certification, Take the quiz to help point you in the right direction. NFPT is accredited by the NCCA which is noteworthy and gives the certification validity. Overall this is a decent certification but not my overall top pick. I suggest reading my article on my top 5 certifications. Something I do not like about NFPT is that you need to get re-certified every year. Every other certification is valid for at least two years – three years in some cases. To renew your certification, you also have to pay a $75 renewal fee. (Update: I was informed by the NFPT’s Certification Director, Angie Pattengale, that they would be changing to a two-year re-certification cycle by the end of summer 2018. I will be sure to update this review when the change becomes official). One good thing is that all of their continuing education credits can be obtained for free from their website. This does save you a good amount of money when it comes to continuing education. NFPT is a necessary, foundation building certification. That can be great for a start-up trainer who may not want to immediately jump into the details and rigor of a more in-depth certification, such as ACE or NASM. This credible and accredited certification can give that guy or gal the initial foothold necessary for the opportunity to get their feet wet and work as a personal trainer. 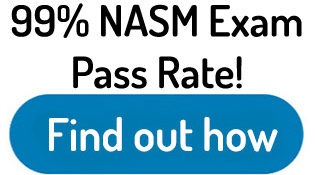 Be sure to also check out some other top-tier certifications such as NASM, ACE or ACSM to see how they compare to NFPT. If you want to see some certifications compared head-to-head, check out my certification comparison section which includes articles such as ACSM vs ACE, NASM and ACE, NASM vs ACSM, ISSA vs NASM, and many more. Check out the NFPT website if you want to learn more about this certification. Let me know what you think down below! Thank you for taking the time that you do to review cert organizations. I think it is important to have an unbiased perspective and a one stop resource for comparisons. For NFPT’s review, it appears that your review came just before we made some pretty major revisions and improvements. For example, the prices are now 3 options: $199 (exam only), and $299 (standard cert package) and $399 (premier cert package), no additional fees. Also, we had just released the new edition of our education manual which is much more robust (with 200+ more pages added). We’re not clinical like ACE, ACSM and NASM, we work for the entry level trainer just getting started; someone who has the passion and needs the pathway. Can I send you a copy of our new book? We would really appreciate if you would take a look and let us know what you think. We value your opinion and appreciate what you do here. Thank you. Thank you so much, I am glad that you liked the review!